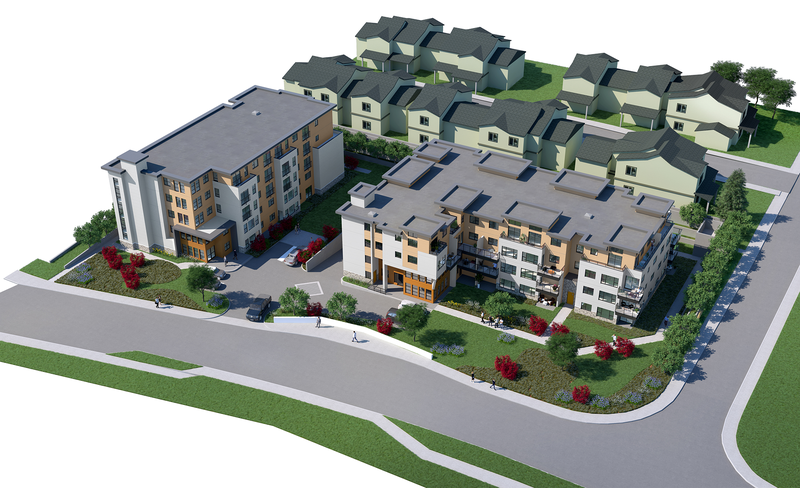 We’re happy to announce that Stride Properties and the Greater Victoria Housing Society (GVHS) have received approval to build a 90-unit rental development at 1909 Prosser Road in Central Saanich. The two-building development includes 40 affordable rental units in a five-storey building owned and operated by GVHS and 50 market rental units in a four-storey building that Stride Properties will own and operate. Studios, one and two bedroom apartments and two-level townhomes will accommodate a variety of people from seniors and families to young people starting their careers. Connectivity with the neighbourhood and alternative transportation are central to the design of this development. It is located on a major transit route that links to Sidney in 20 minutes and downtown Victoria in just over 30 minutes. It’s also within walking and cycling distance to the Saanichton village and minutes away from a variety of employers from high-tech to retail and manufacturing. This is the second project that we’ve spearheaded with GVHS to address the housing shortage and affordability on the Saanich Peninsula though our innovative partnership. When both developments are completed, 138 new rental units will be the first built in the area in more than two decades! 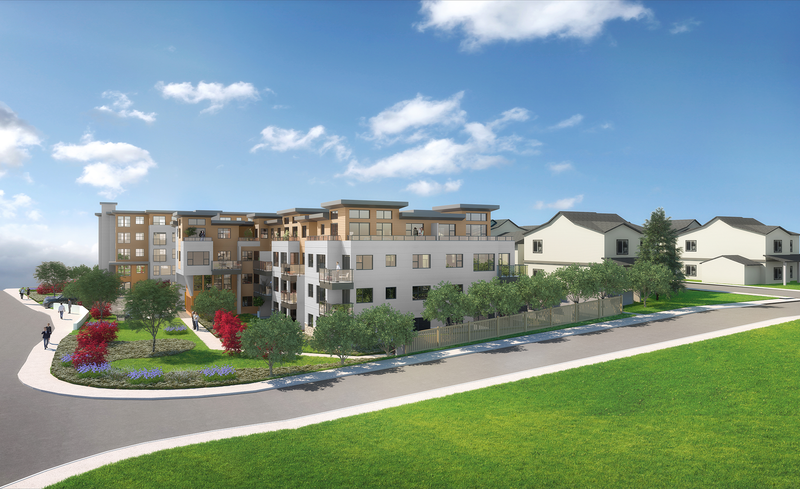 To learn more about the Prosser Road development or for information on the availability of rental homes in Central Saanich or another Stride rental building, please visit our projects page. You will also find a housing list signup. Subsidized and non-subsidized rental homes available from the GVHS are listed on their website.